Social media is not only about creating the buzz for your brand, but also play an important role in ranking of a page. According to a survey by Moz on search engine ranking factors, social metrics contribute to 3.98/10 influence on a page ranking. Many agencies have a close integration of search engine optimization and social media. 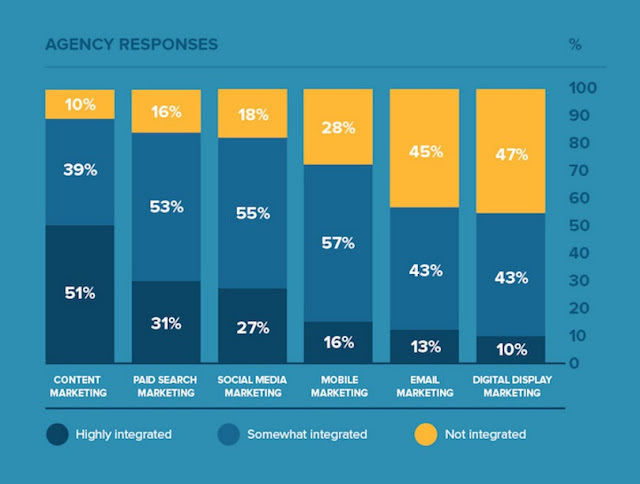 In the below chart, it shows the integration social media in various agencies SEO strategy. 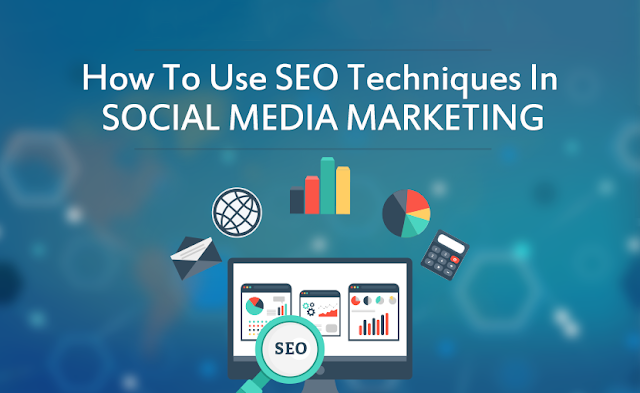 Learning the SEO guidelines that can improve your social media marketing is so crucial for any social campaign. So, if you are a social media manager you might want to learn some essential SEO techniques that will improve your marketing campaigns. The first step to optimizing for SEO of any website or an online marketing campaign is keyword research. Use a tool like Google Keyword Planner to get started. A free tool can be accessed from your Google Adwords account. Login to your Google Adwords account, open the Keyword Planner Tool from the drop down menu. You can start by feeding in some keyword terms that you already have in mind. If you have a list of keywords you can enter the entire list too. But instead, you might want to enter a set of five keywords every time for better keyword suggestions. Once you have a set of keywords you can start by picking keywords based on the search volume. At this point, notice that many keywords will have high search volume but low relevance to your website. So pick the ones that fulfill both criteria. Once you have an organized spreadsheet of keywords, you will have to come back to this time and again to refer keywords. So treat this document as a special one. Firstly, you if you have a brand you might want to optimize your social media profile. While optimizing your profile, use the keywords and phrases in your profiles and pages. For example in Twitter profiles make sure you use the keyword phrase in your bio. In the below picture, the Temple Flower brand has optimized their Twitter profile or the keyword “Activewear”. Similarly, in Instagram profiles make sure keyword phrase is in your bio. In the picture below the activewear_hq has included their keyword “activewear” in their profile bio. Likewise while creating the other social media profiles include your keywords and phrases in your bio. This will help customers to find you who are searching in different search engines. Do a little research on your competitors or other in the industry to get a fair idea of how to frame your profile bio. The way SEO works has changed over the years and the sure shot way to get high engagement for your social media content is to publish great content. We are living in the age of marketing where marketers will throw the term around “content is king”. Everyone likes to read and share high-quality content but many forget to be relevant. are in and create content accordingly. Take an example of SocialPilot, with this tools you will get recommendations and feeds of relevant content so that you can keep your followers updated. You can select content directly from the website and schedule it for sharing. You can also add hashtags while sharing the content. You can also create a custom feed to get updates on related topics and be able to share it directly with your followers from SocialPillot social media scheduling tool. So as a social media manager your content curation game is much easier now. Even before you start promoting your brand and product in social media channels, it is important to set up analytics to track your results. You can setup your social traffic in a way in Google analytics to see all the data in one given page. Social segments in Google analytics lets you do just that. Check out this post from Rand Fishkin on how to setup your segments for social media traffic in Google Analytics. Once you have set this up you will be able to drive the value on returns you are getting from each social channel. Below is a screenshot of social traffic metrics using Google Analytics. Make your social media posts look clean when you have to deal with long complex URLs. A URL shortener will condense your complicated URL and give you analytics data to track your leads. They really help when it comes to social campaigns. Make sure to use a URL shortener that is redirected from the shortened URL form to your website so that it passes link juice to your website. One of the most popular URL shorteners is Bitly. Although it is free to use this URL shortener tool, if you want more advanced features you need a pro account. This will let you change your domain account to match your campaign so to get higher click through rates. Try using widgets and embeds on your website to increase sharing and help build links to your websites. If you want to get your content shared on social media, consider adding social sharing buttons to your blogs. This will enable people to easily share your content on their social media pages. Make your content easy for people to share. If you have infographics and graphs on your blog, provide a code that can be easily copy-pasted on their websites. You can also allow people to link to your website by providing the link in your blog to copy paste. This is one of the longest terms in SEO that looks ugly. Just joking, but you will agree it is hard to pronounce. But, the function of a canonical URL is simple. Canonicalization is the process of telling Google search engine which is the actual URL you want traffic to instead of another variable page or duplicate page. Many times when running social media campaigns you might have URL tracking variables. To drive traffic to the right URL you need to a rel=canonical tag to the URL. Many social media campaigns can run viral. Handling such huge load of traffic on the page may ultimately slow down the page. To avoid this we need to check the page load time before running any campaign lives. It is advised to work closely with your development team before the launch of a social media campaign. Do trial runs and see your site speed is loading effectively or not. If you have a problem or slow page load speed, fix this before going live because this will affect the ranking of your page in search results. Below is a graph that shows the comparison between page load time and the revenue you can generate. You can use a tool like Pingdom or GTMetrix to test the speed of your page. The title is the most important factor to optimize when you want your page to rank well in the search engine results page. It is tempting to opt for an attractive title for your blog post but are you using keywords the right way in the title tag? The title tag is one of the most important on-page factors for ranking of a page in search results. Use the keywords as early in the title as possible. Below you can see an example of the search results for the query “social media scheduling”. Observe the placement of the keyword in the title. The Meta description doesn’t help a page to rank but affects the click through rate of the page. When customers search for a product of service, the Meta description gives them relevant information about the page’s content. Even, when you want to share your page in social media channel like Facebook and when you paste the link to update. Facebook automatically pulls the title and Meta description of the page to share with users. The most important part of all is to measure and improve your campaign. The performance of your tweets plays an important role in rankings. You should try to improve the click through rate of your tweets. Here is a great read on how to improve the CTR of your tweets. You can measure your campaigns through analytics provided on the social media platform to see what kind of posts people are most interaction with? What is the best time to post? Etc. As we discussed earlier social segments in Google Analytics, which also is a good measure of your campaign effectiveness. OK, so these were the some of the top SEO techniques, you can easily start applying from today. You might be quite familiar with some of them don’t feel afraid to try something new that we talk about today. You may want to closely work with your SEO team to get a quick advice or two. Teach your SEO mates something about social media management. Sawaram Suthar is Digital marketing evangelist and founder of TheNextScoop.com blog. Within a short span of time, he has helped various enterprises to increase their traffic & ROI. His expertise lies in digital marketing, SEO and brand promotion. He is also a founder of digital marketing agency - Jagat Media. When he is not on the desk, love to make new connections, meet people and invest used time within the family.